Too Impaired or Over the Legal Limit? Alabama criminal cases for driving under the influence of alcohol may be pursued at trial by an Alabama prosecutor on two separate theories. To begin, in NO STATE is it a crime for adults to drink and drive. Therefore, a DWI charge is the only CRIME of DEGREE in America. In all states, the Legislature passes its laws delineating the types of drunk driving within that jurisdiction. Mothers Against Drunk Driving (MADD) has greatly influenced our various legislative bodies since around 1980, and some of those draconian laws have now been whittled back in states like Mississippi, Washington, Oregon and others, to allow expungement or some sort of diversion or conditional discharge for some offenders. The types of “elements” of proof in DUI-alcohol cases are almost diametrically opposite in that one type requires proof of impairment and one does not. 2. After being arrested for the first type of driving intoxicated, for those who submit to an implied consent test, post-arrest, the forensic, numeric results can support a DUI per se conviction irrespective of any proof of the driver being in an impaired condition or not driving safely. Under Alabama DUI laws, our statute permits the prosecutor to get a conviction if the jury believes (beyond a reasonable doubt) that the driver of the car or truck was either physically or mentally impaired (or both) and was operating in an unsafe manner. So, an intoxicated person asleep in a restaurant parking lot, with the engine off could (theoretically) only be prosecuted for the second type of DUI (per se) since no operation in an unsafe manner was observed or proven. The second type of DUI Alabama offense is proven if the prosecutor is able to introduce and lay a proper foundation for a BAC level that exceeds the legal limit for THAT category of driver. This does not mean that a high BAC is needed to convict. For any of these following “criminal” offenses, the driver may not reveal any sign of impairment at the blood alcohol concentration (of each bracket) shown below. Like most other states, Alabama DUI law has 3 separate illegal BAC standards: underage driver, adults age 21 and over, plus the commercial motor vehicle and bus driver standard (CDL). These are DUI charges based upon the level of alcohol for certain identifiable motorists, based on type of vehicle being driven and age of the operator of the vehicle. 1. Underage drivers – Drivers under age 21 are held to a zero-tolerance level, which (in Alabama) is 0.02 grams percent or less. This very small amount of alcohol is permitted due to the breathalyzer used in Alabama (Draeger) not being able to be as precise as a blood test. 2. CDL license holders who are operating a CMV (commercial motor vehicle) license – These drivers are compelled by federal law (which controls interstate commerce). CDL drivers operating a commercial motor vehicle (CMV) are held to a legal limit of 0.04 grams percent as the maximum BAC for big rig operators. An even more restrictive child transport driver subsection mandates a BAC limit of 0.02 grams percent for the operator of any school bus or a day care bus for children. 3. All other drivers – All drivers age 21 and older and not controlled (due to the type of vehicle being driver, as stated in section 2 above) can have up to a 0.08 grams percent BAC limit. Starting over 100 years ago, police departments enforced laws for drunken driving when a motorist had consumed too much alcohol to drive safely, or was driving while impaired. Today, more than 100 different substances and alternative ways to be too impaired could be provable, using forensic evidence. 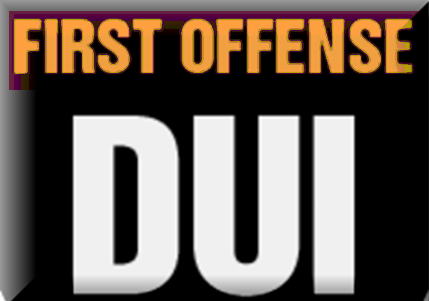 The most common type of DUI offense is charged by the “under the influence” violation. The elements of proof are concerned with whether the driver was impaired by consuming or ingesting enough alcohol to be an unsafe driver. The Supreme Court of Alabama has stated that impairment of a driver means that he or she has consumed enough alcohol to “affect his (or her) ability to operate a vehicle in a safe manner.” The prosecutor need not prove the motorist was intoxicated or physically “drunk.” However, the prosecutor is tasked to prove some degree of impairment that affected his or her safe driving. Prosecutors are permitted to use circumstantial evidence to gain a conviction. Typical types of circumstantial evidence include slurred speech, smell of alcohol, the driver’s admissions to have been drinking earlier, unsteadiness while trying to walk or stand, and red or bloodshot eyes. For most drivers, police usually can trick the motorist into attempting to perform one or more field sobriety tests, which are designed to fail and are highly non-specific when it comes to establishing alcohol intoxication. 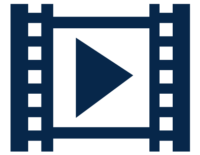 It is possible to convict using the arresting officer’s video tape footage or the observations of the intoxicated condition of a driver. Fortunately, this type of evidence is highly subjective and open to interpretation and can be effectively challenged on cross-examination of the officer by a skilled DUI defense attorney. Upon first conviction, a person violating this section shall be punished by imprisonment in the county or municipal jail for not more than one year, or by fine of not less than six hundred dollars ($600) nor more than two thousand one hundred dollars ($2,100), or by both a fine and imprisonment. 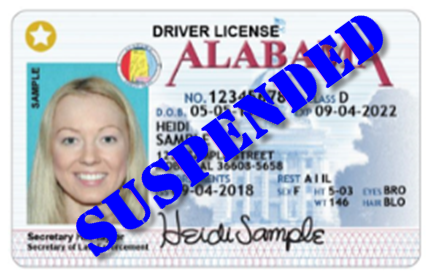 In addition, on a first conviction, the Secretary of the Alabama State Law Enforcement Agency shall suspend the driving privilege or driver’s license of the person convicted for a period of 90 days. The 90-day suspension shall be stayed if the offender elects to have an approved ignition interlock device installed and operating on the designated motor vehicle driven by the offender for six months. The offender shall present proof of installation of the approved ignition interlock device to the Alabama State Law Enforcement Agency and obtain an ignition interlock restricted driver license. 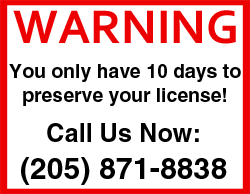 With any conviction of DUI in Alabama, loss of driver’s license occurs. DUI penalties include 30 days of community service, fine, probation, no limited driving privileges for at least 90 days, and then another difficult path for the DUI offender to have his or her license restored. 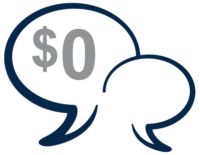 Other DUI consequences such as car insurance cancellation and drastically increased insurance rates can be expected. CALL our lawyers in Alabama now. FREE Consultation. Our law office has 24/7 attorneys who are ready to speak to you as soon as possible. For immediate legal advice, call (205) 871-8838. For holiday, WEEKENDS or AFTER BUSINESS HOURS, use our 24-hour emergency number at (205) 222-4544. For nearly 45 years, Mark Polson and now his son, Whitney Polson, of the Polson Law Firm, have proven themselves to be leaders of DUI lawyers in Alabama. Knowing which successful DUI defenses apply to you case is the hallmark of the best drunk driving lawyers. 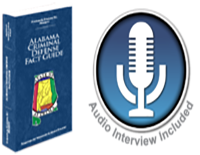 Talk to a Birmingham DUI lawyer who travels the State of Alabama, and is a DUI specialist on Alabama DUI laws. 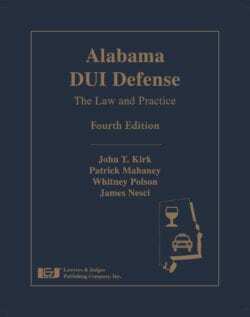 Whitney Polson co-authored the book on various aspects of Alabama DUI law, so don’t make the mistake of calling an average DUI attorney.